Anyone who suffered a blood clot, DVT, stroke or Pulmonary Embolism and believes it may be due to taking Yaz or Yasmin is urged to contact the Drug Risk Resource Center or speak with a lawyer about their legal options. 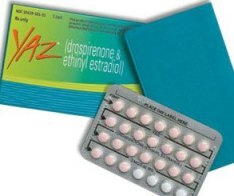 The news comes as the American College of Obstetricians and Gynecologists last month renewed warnings that birth control pills containing drospirenone such as Yaz and Yasmin may have a higher risk of causing blood clots, according to the Chicago Tribune on October 24, 2012. In October of 2011, the FDA released a study entitled "Combined Hormonal Contraceptives and the Risk of Cardiovascular Disease Endpoints" which found that drugs like Yaz could increase the risk of blood clots, DVT and pulmonary embolism by as much as 74%. Anyone who suffered a blood clot, DVT, stroke or Yaz Pulmonary Embolism after taking the drug is urged to contact the Drug Risk Resource Center or speak with a lawyer about their legal options. Bayer confirmed in the latest report that it is settling claims involving blood clot injuries, such as deep vein thrombosis and pulmonary embolism, and has so far resolved about 3,490 injury claims at a total cost of nearly $750 million. Bloomberg News had reported on July 31st that Bayer was settling for an average of nearly $212,000 per case, however, the most recent report indicates the amount could be slightly higher. A federal Multi-District Litigation court was established in Illinois to handle Yaz lawsuits filed by those injured. The formal case is known as Yasmin and Yaz (Drospirenone) Marketing, Sales Practices and Products Liability Litigation (MDL No. 2100, Southern District Illinois). The news of additional Yaz lawsuit settlements is positive for those injured who have yet to file a claim. However, time is limited and only certain cases may qualify. The Drug Risk Resource Center cautions that victims should seek a lawyer with experience in defective drug litigation, and only recommends lawyers and law firms who have already settled Yaz lawsuits. For more information on the research, Yaz side effects and litigation news related to Yaz and other drugs, or to speak with a lawyer, visit http://www.DrugRisk.com. Business Development and Legal Notes section, Bayer Interim Financial Statement, September 30, 2012.